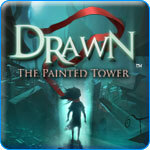 Drawn: The Painted Tower Game Review - Download and Play Free Version! A girl cries from her prison at the top of a dark tower. She has a special gift: her paintings open doors to enchanted worlds. But she is in great danger and without her, all hope is lost. Can you journey through the dark tower and solve its puzzles before it's too late for her, or you? Brave countless puzzles, paintings that come alive and creatures that you may or may not be able to trust in this epic quest to save Iris. In this beautifully-illustrated puzzle adventure game, you'll face puzzle after clever puzzle, each spanning multiple rooms and paintings. For example, enter a farm scene painting and help the scarecrow find his missing clothing by solving puzzles both inside the painting and in the adjoining room. Puzzles include putting scraps of paper together like a jigsaw puzzle, figuring out how to heat a sun medallion, finding pieces of broken objects strewn throughout many rooms and much more. On each floor of the tower the puzzles become more challenging. 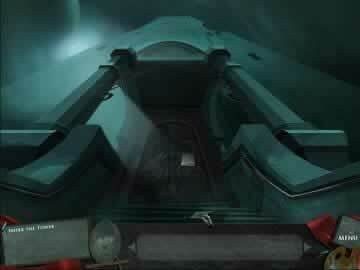 Hints are available and some puzzles can be skipped. Can you solve the mysteries of the tower before it's too late? 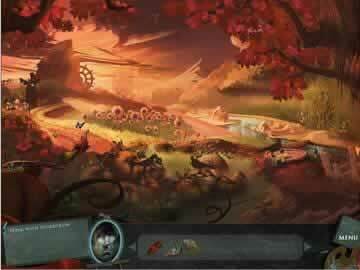 This game will instantly transport you to a dark and mysterious world where magic abounds. The stunning graphics and abilities to explore and solve puzzles at your own pace make this game seem like much more than a game. If you are looking for an exciting, brain-bending quest that you will remember for a long time to come, this game is it! The fate of the world lies in your hands. Can you solve the puzzles to save Iris in Drawn: The Painted Tower? By far the most impressive aspect of Drawn: The Painted Tower is its fantastic graphics that truly transport the player to this magical world. Beautiful scenes with magical purposes excite the imagination. It is your duty to rescue Iris, a young girl with the coveted ability to bring her paintings to life, from the top of an enchanted tower. The tower itself is depicted perfectly as dark and eerie while the paintings are a wealth of color and vivacity, bringing Iris' world to you completely. Every nook and cranny in the tower holds something needed to move forward, such as shards of glass to reconstruct a window that points you in the right direction. Creativity abounds in plot, artwork, and game navigation. Draw rain clouds in a tree painting to bring the tree to life, causing it to branch out of the canvas and connect you to a new room. Some puzzles must be completed to move onward as well, such as discovering which combination of eyeballs must be closed to move a giant spider at the base of a tree. The puzzles are challenging and some can become too difficult but each puzzle may be skipped if it is unable to be solved. The only major downside is that it is too easy to skip through difficult parts using the “skip puzzle” and hint features, which could lead to beating the game much too quickly. However, this is hardly enough to detract from the high quality aesthetics and creative story line that make this game exciting and a worthwhile adventure. Catch a glimpse at some of the cinematic adventure and challenging puzzles found in Drawn: The Painted Tower.